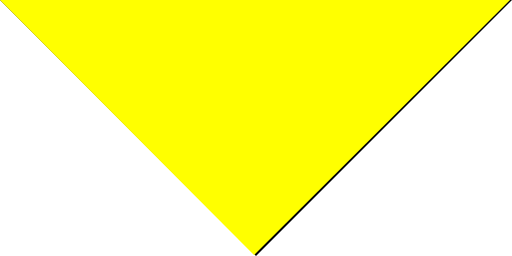 Riders are able to crash and bump into other drivers with no hesitation! 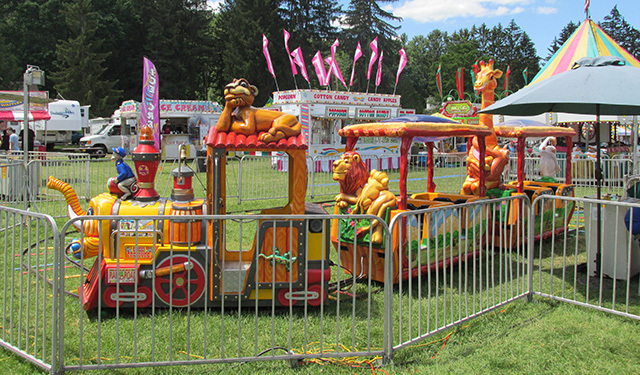 Little kids will have a blast riding this circus themed train. Kids get a chance to go across wooden bridges, climb rope ladders and go down a fun slide. Kids are sure to love this mini adventure. 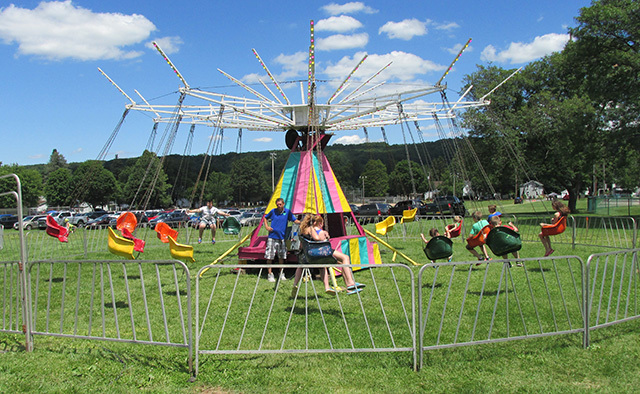 The Eli Ferris Wheel is a major ride which provides memories for both adults and children alike. 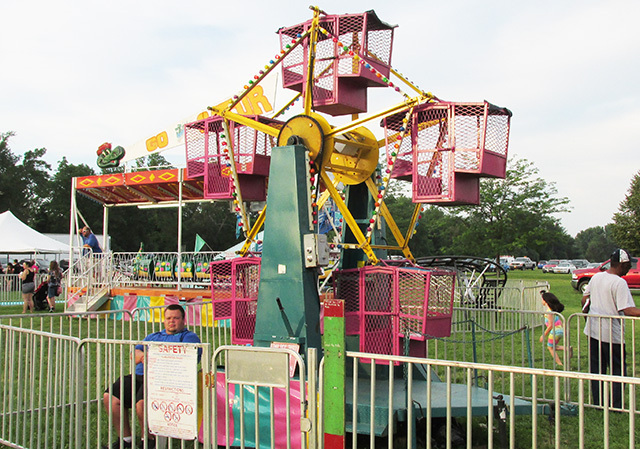 At 35' in the air the Ferris Wheel gives the old time carnival experience for the whole family. 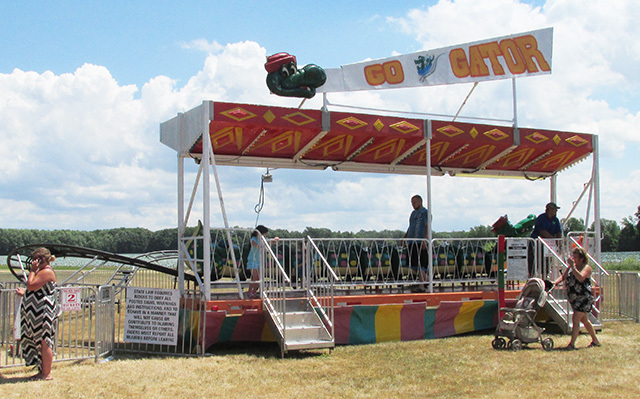 Kids of all ages will enjoy getting to ride this friendly alligator looking roller coaster as it goes up and down and around the track. 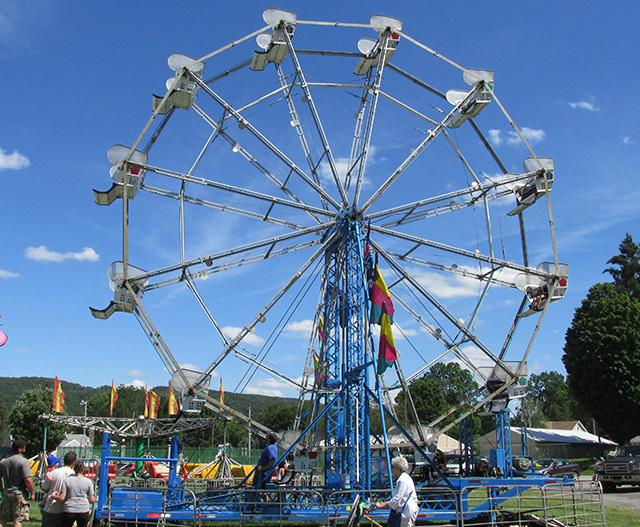 Kids will get a thrill when they ride this ferris wheel that is just the right size for them. 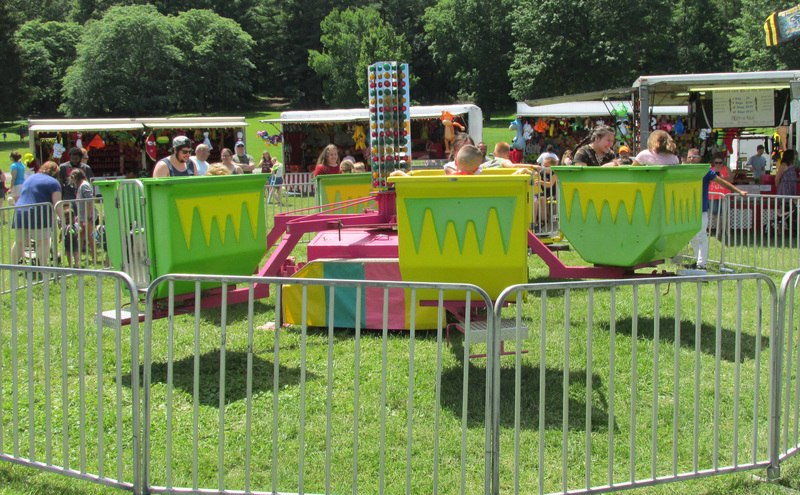 No show would be complete without the Merry-Go-Round. 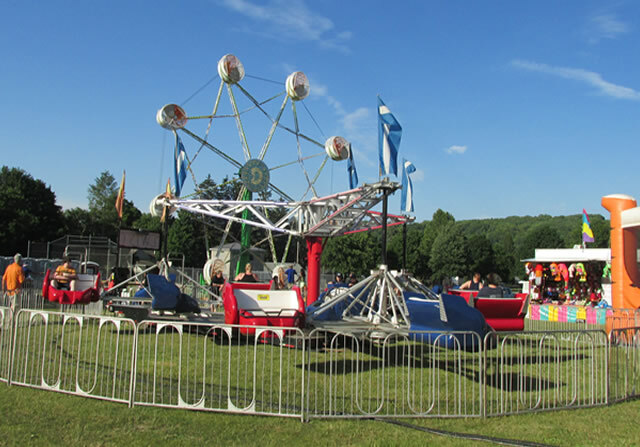 This ride is loved by both kids and adults of all ages. 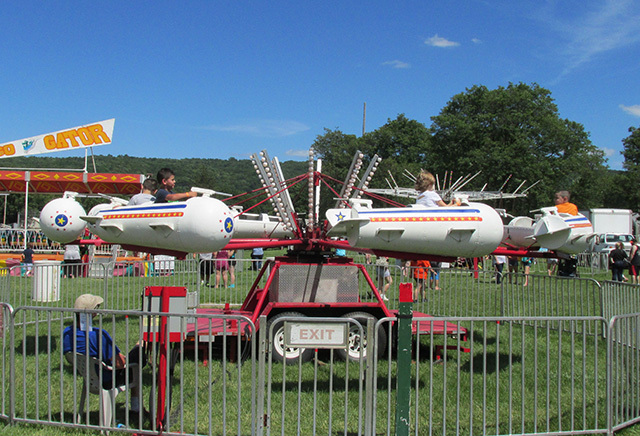 At 30' tall the motion and speed of the Paratrooper is sure to provide thrills for all. 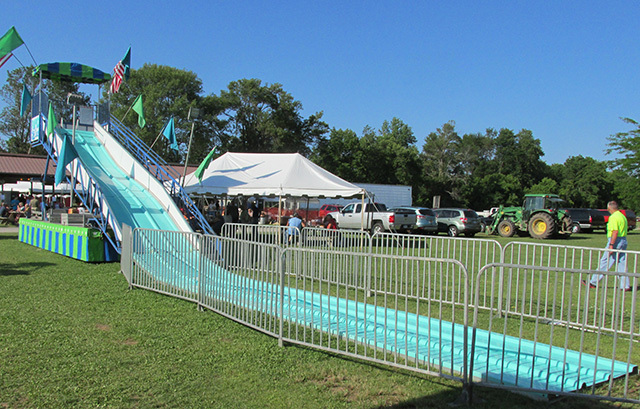 Measuring 28' tall and 70' long the Giant Rapid Side is a colorful and eye catching slide offering continuous sliding and gliding fun for the whole family. This a great timeless attraction for all. Gives children the chance to fly an old fighter plane. It is sure to bring a smile to their faces. 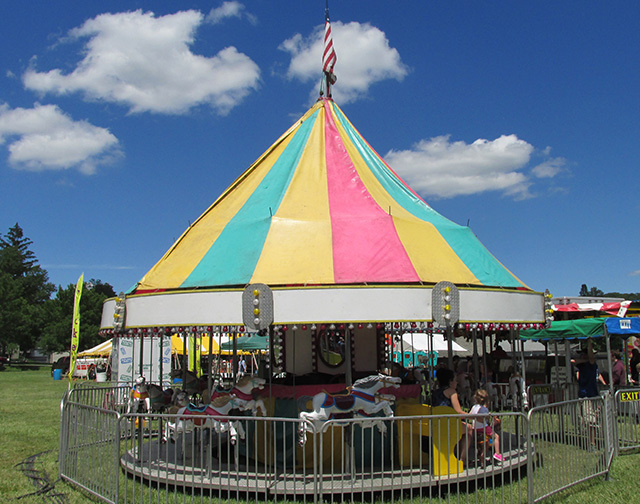 On this family classic, riders will swing in a large circle with their feet dangling in the air. 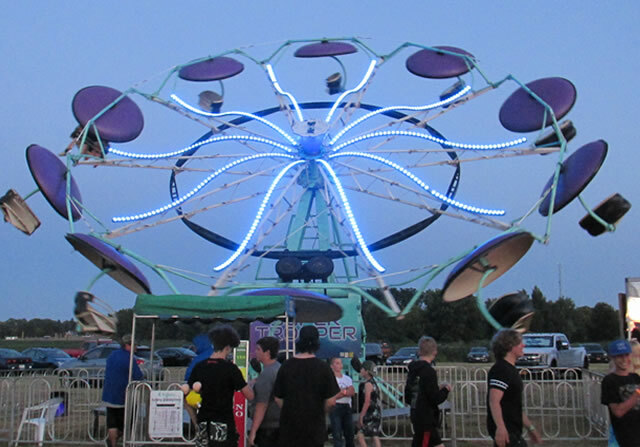 Six spinning tubs of continuous motion create a great sensation of fun and excitement as you whirl around creating enjoyment for the whole family. This ride full of excitement and its double spinning motion is sure to give you a thrill..
Thrill seaker get ready! 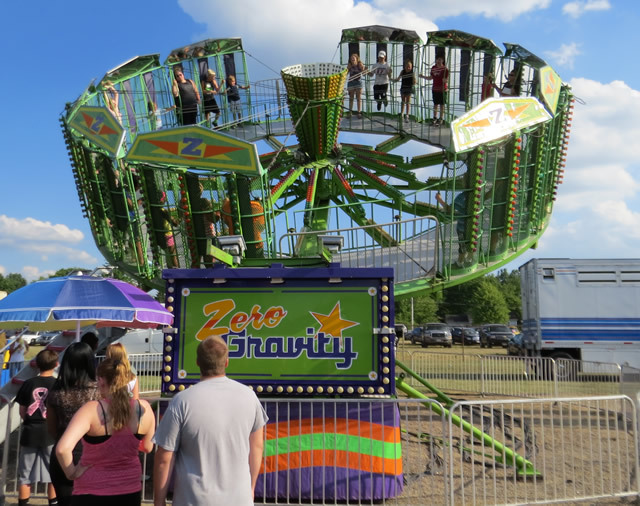 The Zero Gravity is the perfect way to get you adrenaline pumping. Hold tight as you go round and round on this thrilling ride.